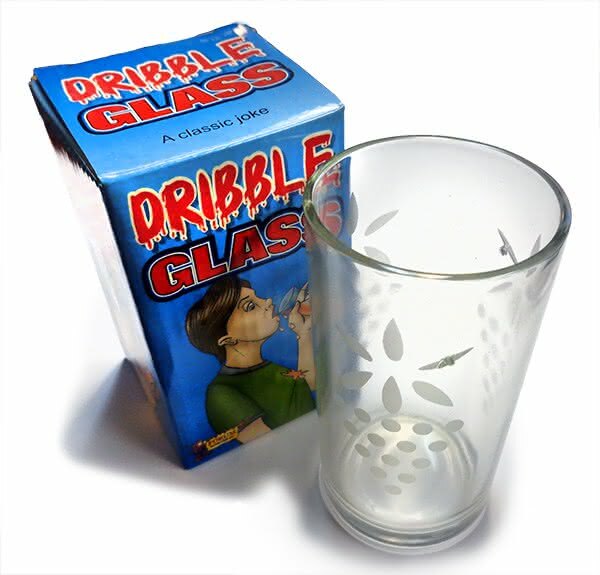 Our Dribble Glass will make a splashy surprise for your friends! Watch them drink and see it dribble onto their clothes. Even just leave it in a cupboard for the unsuspecting victim and wait for the aftermath. Includes 1 glass per package.